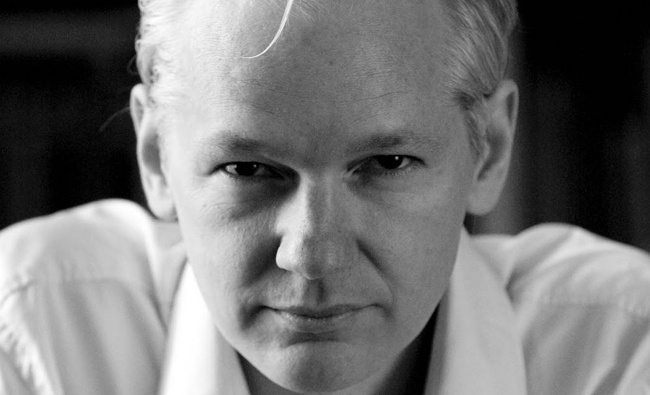 News has just broken that Julian Assange has asked for political asylum in Equador and is currently “under the protection of the Ecuadorian embassy in London”, according to the latest Wikileaks tweet on Twitter. It is evident to Christine Assange that Julian has taken this step after exhausting all his legal options for justice, but if ABC’s QandA opinion polls are anything to go on, The Australian people would agree with her. 79% of the viewers said that the Australian Government were not doing enough for Julian, and asked if she wanted to respond to this, Attorney General Nicola Roxon just laughed and said: “Not really”. We invite readers to make their own decision on whether asylum was his only option. This is a factual chronology of what Ms Robinson deems to be abuse of legal process on Sweden’s behalf. 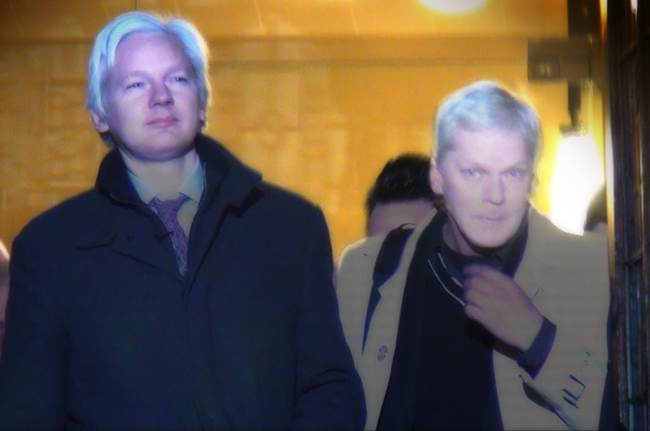 We spoke to former MP John Hatton AO a few days ago about the situation Assange found himself in after the Supreme Court denied Dinah Rose’s application to re-open the appeal. It would come as no surprise to many Australians that Hatton was quite an expert on Sweden. Thanks to him, it once served for us as a model of healthy transparency and justice. Hatton is one of our greatest Australian watchdogs. He used his parliamentary privilege, not only to take on an entire police force, but other members of parliament, to beat corruption. His landmark “Churchill Report”, which fully documented Canada and Sweden’s systems of governance and justice, was held high as an example from the late 80s; at which time Sweden’s JO (Justice Ombudsman) had full view, even over Secret Service operations. Is John Hatton right? Is our democracy a myth? Is there indifference to corruption? Is it acceptable that an Australian citizen feels compelled to seek political asylum in Ecuador? Julian Assange was NOT facing charges in Sweden. Since the latest Supreme Court decision, he was facing immediate imprisonment with NO CHARGES for an indefinite period – in solitary confinement, and visible to no one but a lawyer and a priest. Gud är god! “In no other country are people in isolation before they are charged”, said Winberg. That may seem unjust to many Australian, British and Swedish citizens, and shocking to former champions of Swedish justice, such as John Hatton AO, but it is now “due process” in Sweden, for foreigners and suspects in sexual misconduct allegations, even when they have not been charged with any crime. They may not apply for bail while awaiting questioning or trial, and for whatever reason Sweden finds it just, not even their families have visiting rights. 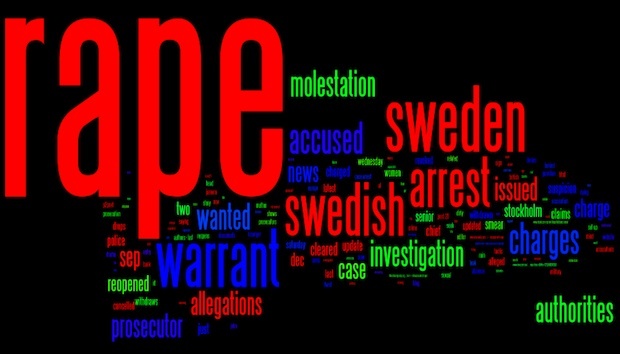 One might reasonably ask, why such treatment simply because one is a foreigner, when Swedish Nationals are treated like other Europeans – as if innocent until proven guilty – but who will? Fair Trails International and British MPs are struggling to assure this fundamental right, but only for their own citizens, while the Australian government, who should be concerned that the anomaly is affecting one of its citizens, is insisting on “due process” (whatever that might be), and claims it would support this treatment for “any other Australian”. The British Supreme Court would obviously have more difficulty with the Australian’s prolonged pre-charge detention, but it seems now to be out of their hands. With their refusal to re-open the appeal, Julian Assange defaulted to going “directly to jail” in Sweden, because prosecutor Marianne Ny’s status as a judicial authority, though “not cricket”, has been awkwardly deemed acceptable at European level, and her brand of “due process” – arguably relentless persecution – has been tolerated, if not ignored. It was not deemed sufficiently abusive of process to issue a European Arrest Warrant and Interpol Red Notice in the first place, against a previously co-operative party, to whom she had just given permission to leave the country… What? Ce n’est pas un cas de faux amis, mais de la mauvaise foi. If Ny had had her initial wishes granted on British soil, Assange would have already spent over a year and a half in prison awaiting questioning, or for an end to her vexatious extradition request; already disproportionate by Swedish standards. Ms Ny’s misleading statements to the public, regarding her delay in questioning Assange over that time – refusing all normal avenues, such as Mutual Legal Assistance at the Swedish Embassy or Scotland Yard – were also conveniently overlooked. Justly so, the defence team objected with strict attention to detail, respect for the rule of law, and guidance from expert witnesses, many of whom were Swedish… for almost two years, but to apparently deaf ears. Marianne Ny has misled the public by stating that Swedish and UK law do not permit her to question Julian Assange in the UK. 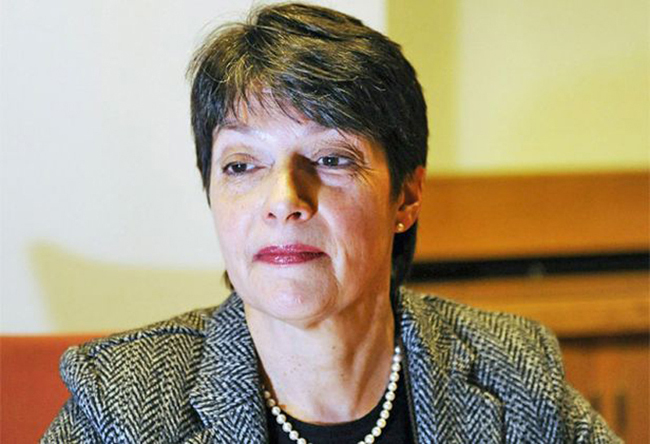 [sic] Prosecutor Marianne Ny has also claimed that questioning in the UK was illegal in a Time interview on 3 December 2010. This is false. Mutual Legal Assistance is clearly permitted by both Swedish and UK law. There is also a legal precedent from the Swedish Supreme Court from 2007, which acknowledges questioning via video link as proportionate when the subject is abroad. The same ruling (NJA (2007) 337) finds that it is disproportionate to issue an arrest warrant for a person who is cooperating with the judicial authorities at the preliminary investigation stage, before a decision has been made whether to prosecute. The prosecutor and autorité judiciaire, Marianne Ny, sought imprisonment in England as well. [sic] One example is the evidence submitted by Göran Rudling, who discovered complainant AA’s deleted tweets (see Evidence Destroyed). Rudling submitted these to the investigating authorities on 15 September 2010. The prosecution never informed the defence lawyer of the existence of this evidence, “despite the fact that it revealed evidence of obvious and crucial significance to the defence, namely that one complainant had acted entirely inconsistently with her story the very day after the alleged assault and then tried to destroy the evidence”. In the end, every effort was made to get the problem of Assange’s detention, guilty or innocent, after almost 2 years without charges, out of a respectable place like England! It may be fair to assume that Ny would neither have been in a hurry to question Assange when dispatched “at her pleasure” to the horrendous Gothenberg Prison. Her case has grown weak over time; depending now on only one signed statement, and what is almost certainly false evidence. 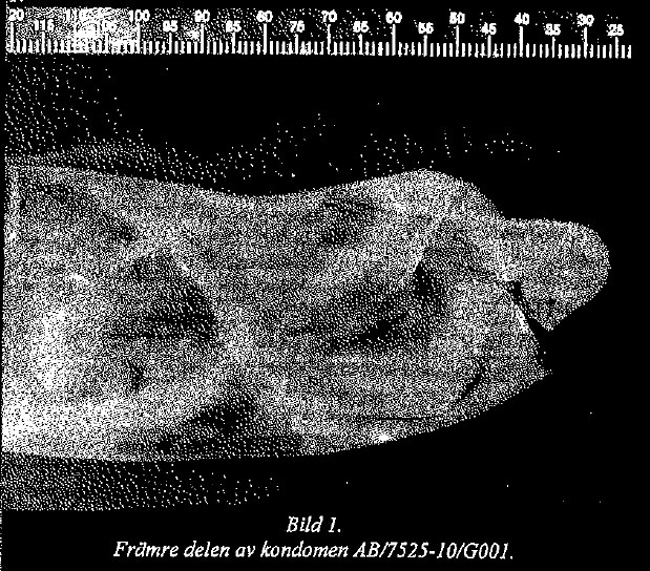 For those who haven’t read or been told about the lab report, no chromosomal DNA was detected on the famous ripped condom. Concurring statements by Assange and the remaining accuser AA, assert that the condom had been used for several hours during sexual contact, and for that reason, forensic experts said it must be expected to be covered with chromosomal DNA from both parties. With a 2% error margin in the reliability of observations, none whatsoever was detected. The significance of this item is paramount. Not only did it fuel countless weird and salacious stories in the press world-wide; it was also used as material evidence to re-open investigations into the affair; which had already been closed by a second, more senior prosecutor, Eva Finné, on the basis of the other woman’s testimony, strangely enough. It was made clear that the two women came to the police station to make an enquiry, not a complaint; that no statements had been initially recorded, and that Assange had definitely NOT committed a crime. Surely a lab report which negated the very reason for the re-opening of this case would matter to an impartial authorité judiciaire in any country, but Marianne Ny did not let up. Ny has seemed determined, vexatious and inordinately unaccommodating; the veritable attack dog of Lady Hale’s worst nightmares. It seems unlikely, but if Ny did manage to mount a case, then Assange would be subjected to another indefinite and incommunicado pre-trail detention, and who would be optimistic in that case, irrespective of whether America exercise their right to “Temporary” Surrender before, during or AFTER this ordeal, which the defence estimate could take up to a year? 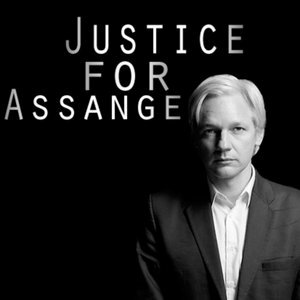 Even if Assange walked an innocent man after 3 years of house arrest and imprisonment, the whole process would be likely to start all over again, take a life-time, and eventually entail his execution for the sought-after conviction of espionage. What’s clear is that from Sweden onwards, no one would know what’s going on in the courtroom, because the doors would be closed. While they were open, it was obvious that the facts of the case, especially the lab report, became of little interest; neither to the High nor Supreme Courts; and neither to the press, who have only just learned not to copy/paste the word “charges”, lest they be sued. And unless a miracle happened, Julian was going to Sweden very soon. “He can put in an application to the European Court of Human Rights, but there’s a three year waiting period. It will not prevent his immediate extradition and imprisonment – for God knows how long… What good is it if they decide in three years time that it was in violation of his human rights? Hmmm… that is about as backed into a corner as one can get. This entry was posted in EDITORIAL, LIVING PROOF, NEWS and tagged Christine Assange, Equador, Extradition, Jennifer Robinson, John Shipton, Julian Assange, Marianne Ny, Nicola Roxon, Political Asylum, Wikileaks. Bookmark the permalink.